It’s unclear whether the findings generalize to civilians. Traumatic brain injury (TBI) is associated with a spike in Parkinson disease (PD) risk among military veterans, according to a retrospective study published in Neurology. This increased risk is observed among those with TBI, mild TBI (mTBI), and moderate-severe TBI. In this analysis, investigators obtained data from the Veterans Health Administration database on patients with TBI (n=162,935). An additional random age-matched sample of patients without TBI (n=162,935) was used to compare outcomes. At baseline, all patients were free from PD and dementia. 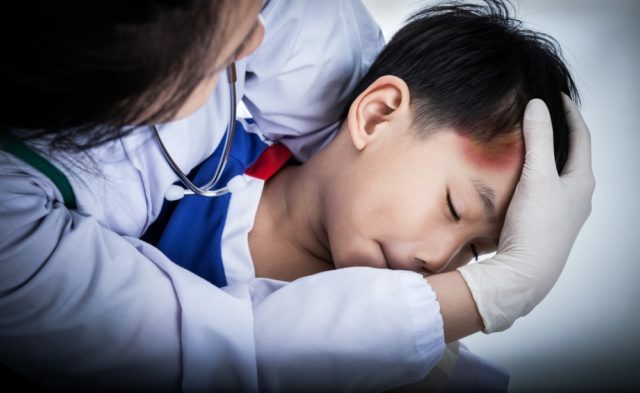 Clinical assessments or International Classification of Diseases-9th edition codes in conjunction with the Department of Defense and Defense and Veterans Brain Injury Center criteria defined TBI exposure and severity among those diagnosed with TBI. Cox proportional hazard models, which were adjusted for medical/psychiatric comorbidities and demographics, were used to assess for the risk of post-TBI PD. During an average follow-up of 4.6 years, a total of 1462 patients received a PD diagnosis. Patients with TBI had a higher incidence of PD compared with patients without TBI (all-severity TBI [0.58%], mTBI [0.47%], and moderate-severe TBI [0.75%] vs no TBI [0.31%]). In addition, all TBI types were associated with an increased risk for PD in the adjusted analyses (hazard ratio [HR] all-severity TBI 1.71 [95% CI, 1.53-1.92], HR mTBI 1.56 [95% CI, 1.35-1.80], HR moderate-severe TBI 1.83 [95% CI, 1.61-2.07]). The relatively short average follow-up period of 4.6 years potentially limited the analysis and precluded the investigators’ ability to determine long-term outcomes in this cohort. Additionally, it is unclear whether the findings generalize to civilians.